Millennium 7 Publishing Co.: Leveraging Social Media Growth Hacking? 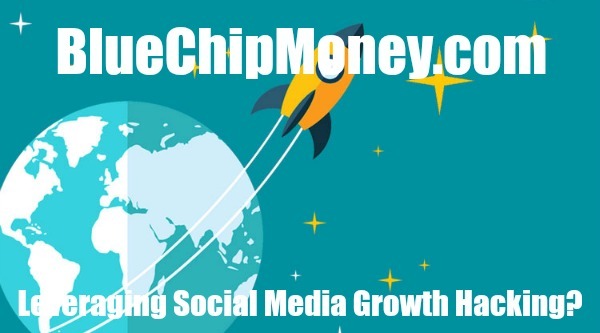 Leveraging Social Media Growth Hacking? Not leveraging social media? Your growth hacking efforts won't succeed.. It can target a brand's target audience. Did you take a trip to the International House of Burgers in June? Brands and users alike roasted IHOP for its social media play (temporarily changing its name to IHOb to promote its new burger line), but the joke was on them—for a minute, IHOP became the biggest name on the web. How? Because the pancake house recognized the value of leveraging social media, especially when it comes to marketing a brand successfully. And current figures back up the company's method: Actively, close to 50 percent of marketers are interested in increasing brand awareness through social media efforts, and 71 percent of consumers are more likely to recommend brands if social media experiences are positive. Another brand that consistently leverages social media (and one that's been active and successful far longer than IHOP) is Wendy's. The fast-food restaurant's Twitter account took the internet by storm a few years back when its responses to followers were, as some have described, downright savage. The franchise continues with its salty tweets to this day, firing shots at anything from McDonald's burger patties to IHOP, and consumers can't get enough. “Social media is an opportunity to level the playing field and talk about what sets our food and brand apart,” Wendy’s chief marketing officer Kurt Kane said. The restaurant chain boasts 2.7 million Twitter followers to date. It's clear that social media does what traditional outbound marketing can’t: Chiefly, it can target a brand’s ideal audience specifically, instead of shooting fish in a barrel by bombarding broad audiences with its message. In traditional marketing, telemarketers and cold emails might land a few customers, but intrusive sales pitches don’t resonate. For companies to succeed, they need the power of social media fueling their growth. Related Article: Making Social Media Work For YOUR Company? Smart brands leverage the power of social media to help potential customers discover their products through relevant content. Like blogging and search-engine optimization, social media allows brands to share valuable, relevant content, but it also helps brands develop a lasting relationship with audience members, wherever they may be. Last year, Ladder shared a blog post about why “hand-to-hand combat” will help you land early customers. But when you can’t meet your prospects in person, social media communities are the next best thing. Social media is more than an acquisition channel: It’s a customer-support forum, a brand promotion vehicle and a marketing tool all in one. And the proof is in the pudding: Hootsuite found that 28 percent of Americans would rather engage with brands online, and 59 percent believe social media makes it easier to get their questions answered. Not all platforms are created equal, though. According to Pew Research Center, 78 percent of Snapchat users are between 18 and 24. The same study found that 41 percent of women use Pinterest, but only 16 percent of men do. Different platforms speak to different audiences, so brands must pick their battlegrounds carefully. Facebook is the biggest platform in the U.S. (68 percent of adults are on it, per Pew), but marketers can’t limit their focus to Facebook alone. Business-to-business brands might balance their time between Facebook and LinkedIn, while brands targeting young women would do better on Instagram and Pinterest. To determine the best social media platform for your business, define the goal of your strategy: Do you want more brand awareness, more leads or more user-generated content? Then, determine where your target audience members reside online. If they prefer LinkedIn, don’t chase them on Reddit. Look at where your competitors invest their time. Chances are good they’re after the same audience. Use tools like BuzzSumo or SEMrush’s Social Media Tracker to collect information about your competitors' social media activity. Ready to turn likes into dollars? Check out these killer growth hacks for Facebook, LinkedIn and Twitter. Facebook growth hacks: Use Facebook insights to see when your followers are online to boost engagement. Don’t guess when to post—let data tell you exactly when your audience is listening. You can also use Facebook Insights to identify the best types of content to post. For paid ad spend, use Facebook lead ads to collect contact information from prospects. Because Facebook pre-fills data, prospects are more likely to submit their information in exchange for a high-quality piece of content. For instance, we at Ladder used Facebook lead ads to grow our newsletter by offering a downloadable infographic in exchange for email addresses. Make sure you offer quality content, and watch your prospect list grow. Twitter growth hacks: Ditch the link previews for website cards in organic tweets. They’re commonly used in paid ads, but you can also use them in your organic tweets. The most beneficial aspect of using cards is that they allow A/B testing on calls to action and headlines. They also remove links from your tweets, which can look spammy. Hashtags aren’t just for Twitter. LinkedIn now allows users to write, follow and search for hashtags, making it easier for an audience to find your content. Use two to three hashtags to promote your LinkedIn Pulse articles and status updates. Keep them industry-relevant and easily searchable (i.e., #LinkedInTips). Another Twitter hack involves catering ads to select audiences—divert your Twitter spending to run highly targeted ads around events. Target people using event-related hashtags and align your brand with the awards shows, sports events and concerts your audiences love. If you spend money on LinkedIn, run ads targeting public and private groups. This way, you can hit members with shared interests. Join the groups with your personal account first to see what kind of content does best, and then tailor your messaging accordingly. Guest Authored By Jon Brody. Jon is co-founder and CEO of growth technology and services company Ladder. Follow Jon on Twitter.